Update- Feb. 2— : Sadly, Boston Police tell the Reporter that Mr. Carson was discovered at a home in Roxbury and is deceased. His obituary appears in today's Boston Globe. Boston Police are asking for the public's help to find a Dorchester man who was last seen a week ago at a Dorchester Avenue tavern. 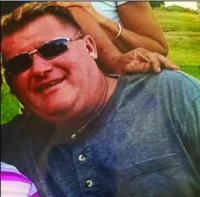 Joseph Carson, 54, has been missing since about 6 p.m. last Tuesday, Jan. 24. Carson is described as a white male, 225 pounds, with brown hair and blue eyes. He lives in the Savin Hill neighborhood. He was last seen at JJ's Irish Pub, located at 1130 Dorchester Ave., according to a missing person alert posted by the Boston Regional Intelligence Center. Anyone with information about him is asked to please contact Boston Police detectives in Area C-11 by calling 617-343-4335.